Article by George Huntington. Edited by Stephen Woodward. Additional Research by Ellie Veryard. Lazarus is the patron saint of lepers and gave his name to houses used to treat and house lepers. Leprosy, now known as Hansen’s Disease, has dogged mankind in most parts of the world throughout history. Its existence was recorded in biblical times and remains prevalent even in a few countries today. Until recently Western attitudes towards so-called ‘lepers’ have been those of shunning and stigmatism. In some parts of the world these views still persist. Fortunately for sufferers of the disease, during the 20th Century treatments were discovered which have proven themselves more effective than the archaic practices of bloodletting and eating boiled adders with leeks. Leprosy is a relatively recent disease in man, thought only to go as far back as the neolithic period. Amongst the earliest mentions of leprosy are a few Egyptian papyrus documents, the earliest from 2500 and 1550 B.C.E. There is also some skeletal evidence that leprosy was present in Jerusalem in 1st century B.C.E. and in Egypt in 2nd Century B.C.E. Leprosy first appeared in Greek records after Alexander’s return from India. The invading armies of Alexander the Great are said to have carried it back from India to the Mediterranean basin in 327 B.C.E. But the disease was in the Levant from at least 550 B.C.E., possibly even the seventh century B.C.E. or earlier due to written evidence in the Bible and skeletal remains. Either way, there is no conclusive evidence of it being widespread in the Mediterranean during the first century C.E. The first appearance of the disease in the Roman Empire is recorded as 62 B.C.E. after an army returned from Asia Minor. In early history, the disease carried a stigma that prompted the production of decrees restricting the rights of lepers. 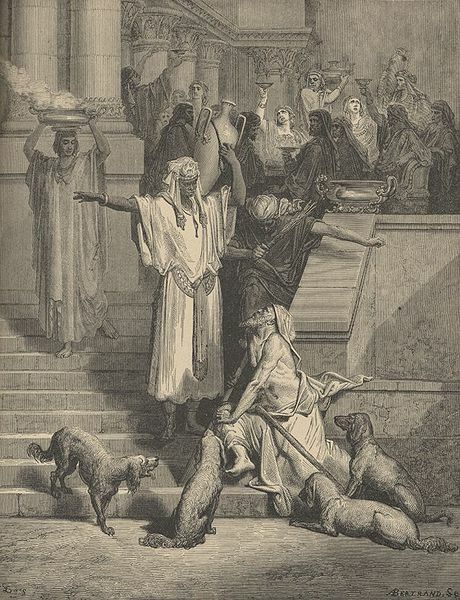 Leprosy in Ancient Rome meant those who suffered from leprosy were shunned and segregated in lazar houses. However, this ostracism may not have been as lasting as first it would seem; there is evidence to show that lepers were buried beside non-lepers in late Roman British cemeteries. In either case, leprosy was not thought a great threat in the majority of the Roman empire and was feared more greatly in the Levant and Ancient Greece. Leprosy became prevalent across Western Europe from at least the seventh century C.E. although how this became so is disputed. One idea is that it was brought back from the Levant by the crusaders returning home. However since the first crusade started in 1096 this seems unlikely; by the ninth century leprosy had already reached Scandinavia. Notably after the third crusade, Europe was swept by a large leprosy epidemic, so the crusaders then may have come home with a more virulent strain. The discovery of leprosy in Baldwin VI of Jerusalem (1161-1185) by William of Tyre are depicted in this painting from the 1250s. An 11th century legal handbook, The Sarum Use, set out strict laws for those affected by leprosy which were much more restrictive than previous laws. They forbade the leper from marrying, going to church or market, wearing anything other than leper dress and from passing their possessions to children, effectively making them outcasts. Although these extremely restrictive laws seem harsh, they can be put down to the nascent theory of how infections spread. Thus, the lepers couldn’t enter bakehouses or wash their clothes in streams and springs and had to live segregated lives. These rules may have been implemented to prevent the spread of leprosy through the population. However these measures seem not to have taken effect; throughout the thirteenth century, the spread of leprosy resulted in the building of 190,000 leper hospitals and sanctuaries in Europe. These complexes, termed leprosarias or lazar houses, were founded after a decree in Leviticus stating that the unclean should live outside of towns. They were shelters for sufferers from the disease dedicated to their patron saint, St. Lazarus. 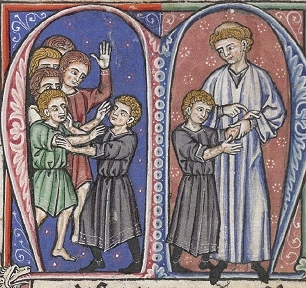 The suffering of the lepers created a problem for philosophers in the Middle Ages. For all intents and purposes, leprosy was a crime. In fact, fake leprosy accusations were often made and had to be settled by the clergy. So how could a kind and forgiving God inflict such suffering? Since leprosy was viewed as divine influence, some viewed it as punishment for sin. King Philip V of France advocated burning alive those affected by leprosy so that their souls and bodies would be purified. The Church believed that leprosy was a kind of purgatory on Earth which would bring a reward in heaven. By the fourteenth century, cases of leprosy were markedly reduced. This has usually been associated with the rise of tuberculosis and the plague. The bacteria which cause tuberculosis and leprosy are in the same genus and so it might be possible to develop a cross immunity. Also leprosy has a lower pathogenicity than tuberculosis. This may have caused decline as it was out-competed by its relative. Lazar houses after that used to house plague victims and later the sick and the poor. These new patients would have had short term care in these institutions which may have set the precedent for modern clinical care. By the fifteenth century in Britain, leprosy was only confined to a few isolated pockets. 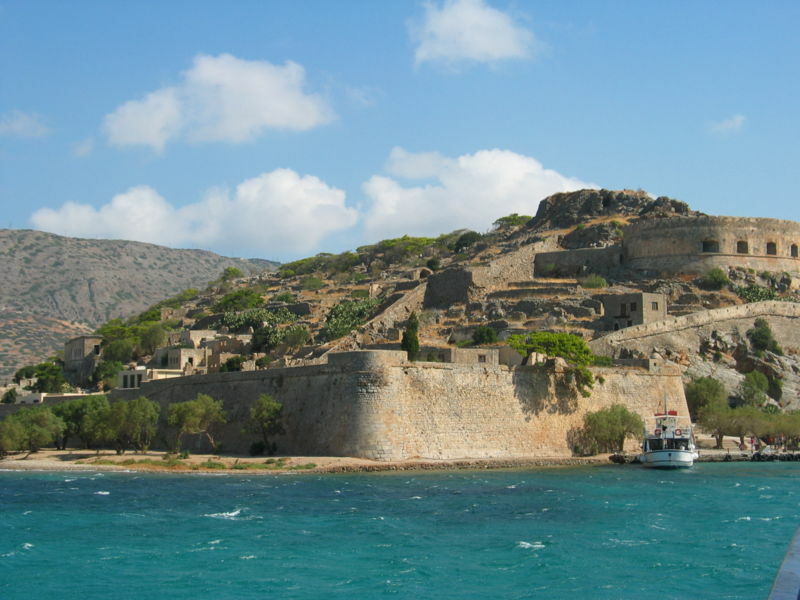 Leper colony at Spinalonga in Crete, Greece, which remained open until 1957. The next epidemics of leprosy occurred upon arrival of African slave ships in the New World. Spanish explorer Hernando Cortes founded the Hospital de San Lazaro, a hospital specifically for people affected by leprosy. But it was common practice back in Spain to have separate hospitals for those suspected of having infectious diseases. The hospital may have been built after the disease occurred in the native population due to a general lack of immunity to Hansen’s disease. In the East, leprosy had been present in India since 2000 B.C.E, India is considered the starting point of the disease. By the first millenium B.C.E. it had also arrived in China. References to leprosy occur in Ayurvedic medical literature: it is present in works of Sushruta (800 B.C.E. ), Charaka (300 B.C.E.) and others in 600 B.C.E. They were ambigous about attributing a cause to leprosy. It was declared to be a divine punishment, hereditary disease or caused by a miasma. Leper asylums were present in India from at least 1890s, if not earlier as those who sought help were institutionalised once again, as victims of the disease were cast out by society. In the 19th Century, Robert Koch and his rivals were testing different diseases to see if they were caused by bacteria. One of these was leprosy, proved to be caused by Mycobacterium Leprae by Dr. Gerhard Hansen. Previous to Dr. Hansen’s discovery, leprosy was not seen as caused by a contagion, despite it being the popular consensus for most diseases at the time. Once leprosy was proved to have been caused by a bacterium, this started the process that would result in a treatment for leprosy. Finally, in 1941, a drug, Promin, was developed to treat mycobacteria such as leprosy and tuberculosis. Up until that point, the common cure was painful injections of Chaulmoogra oil, a treatment whose effectiveness was disputed. The drug was tested at the sole leprosarium in the USA at the time, Carville. Leper colonies and sanctuaries were once widespread, even the infamous Robben Island was once a leper colony in the nineteenth century, but by the early twentieth century they were few in number. The doctors at Carville found symptoms slowly retreated when Promin was administered. 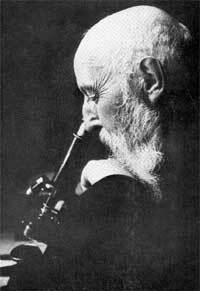 Later, more effective drugs were pioneered and tested such as Dapsone and Rifampicin as part of a multi-drug therapy or MDT. Of course there is a problem with tracking the progress of leprosy through human history and that is the language barrier. Although diseases very much like leprosy are described in antiquity and the dark ages, they may be referring to other skin conditions or the term leprosy is hidden behind other vocabulary like ‘mezels’ in Occitan or kushta roga in Sanskrit. Authors in classical literature tended to confuse leprosy with elephantitis and psoriasis. Fortunately it is easier to follow the spread of leprosy through skeletal evidence. Leprosy leaves tell-tale signs on the skeleton and so is easily spotted in archeological remains from Ancient China, India and Egypt, all of which can be dated. Today, leprosy is easily recognised and treated with multidrug therapy (Dapsone, Rifampicin, and Clofazimine) by WHO for free before permanent nerve damage can take place. In those countries where leprosy is still endemic, intensive efforts are being made to reduce its threat to the population. In the meantime, scientists are working towards developing a vaccine and early warning methods. But what is the future for leprosy? The planet is getting warmer and generally more tropical. This is the ideal environment for leprosy to spread. Lower rainfall in some areas will increase people’s susceptibility to the Mycobacterium. So although it is unlikely leprosy will ravage populations like it has done before in the Middles Ages, as global temperatures rise, it is likely that instances of leprosy will too. Most visibly leprosy causes skin legions, but carried for a long period without treatments also affects the eyes, nerves and limbs. Because of the way it attacks the body damage to nerves and immune system leprosy can lead to numb and diseased limbs. This is partly where the myth that leprosy causes limbs to drop off most probably came from, but the tissue loss in fingers and toes, consequently shortening them, most likely also helped play a part. There are at least eight types of leprosy. People living in insanitary living conditions, exposed to other diseases which weaken the immune system are most at risk of suffering leprosy. The leper found among the remains of first century Jerusalem, mentioned above, is the oldest proven case of leprosy. ‘Leprosy’ originally meant ‘a disease that makes the skin scaly’ in ancient Greek. Copyright © 2019 New Histories. All Rights Reserved. The Magazine Basic Theme by bavotasan.com.